Edinburg Idea's Valery Tobias competes in the 3A 400 meter run during the UIL State track meet at at the University of Texas -Austin in Mike A. Myers Stadium on Friday, May 11, 2018 in Austin. Athletes who shined with state berths and standout performances in multiple sports are among the nominees for Class 6A Female Athlete of the Year and Sub-6A Female Athlete of the Year. McAllen Serena Cervantes with a header against Houston Memorial Addie Gaetano during the 2nd half of the Class 6A state semifinals at Birkelbach Field Friday, April 20,2018 in Georgetown, Texas. Mission Veterans' Jackie Howell (3) attempts a basket against Laredo Nixon in a 31-5A game at Mission Veterans Memorial High School Tuesday, Dec 18, 2017, in Mission. >> Serena Cervantes, McAllen High: Cervantes played hoops and soccer and dominated on the wrestling mat. The three-sport athlete excelled due to her physicality. She was used as a defensive specialist on the basketball team and played a similar role on the pitch. 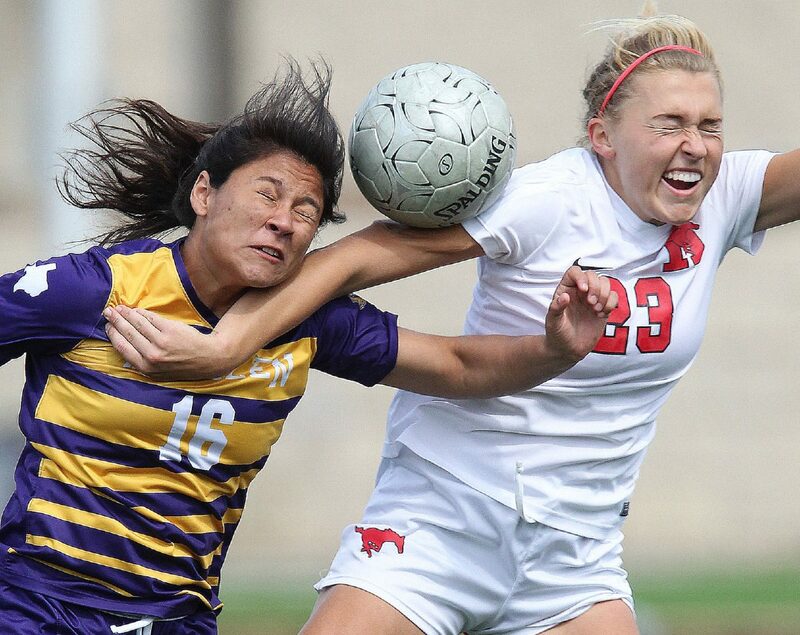 She was late to join the soccer team because of her run to the 6A state semifinals in wrestling. She entered her semifinal match with a perfect record but lost to another undefeated 128-pound competitor. She was also a part of McHi’s historic run to state in soccer, as the program became the first Valley girls team to advance to that level. >> Andrea de la Rosa, Brownsville Rivera: De la Rosa won gold in the 3,200 and 1,600 runs at the district and area meets. At regionals, she finished fourth in both events. The junior also went to state in cross country. 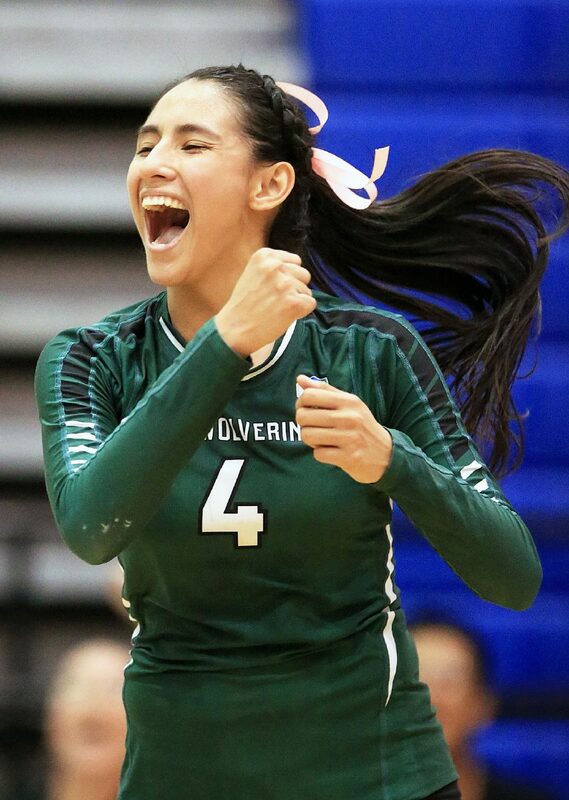 >> Kristi Gomez, PSJA Memorial: Gomez was a four-year starter on the Wolverines volleyball team and helped PSJA Memorial clinch the program’s first-ever district title in volleyball. She made The Monitor’s volleyball All-Area First Team for the third consecutive season. Gomez also played goalie for the girls soccer team, winning District 31-6A Goalkeeper of the Year and helping lead the Wolverines to the playoffs for the first time since 2015. >> Jackie Howell, Mission Veterans: During the fall, Howell’s 515 kills, 345 digs and 77 aces aided the Patriots volleyball team to an undefeated 16-0 regular season in District 31-5A. 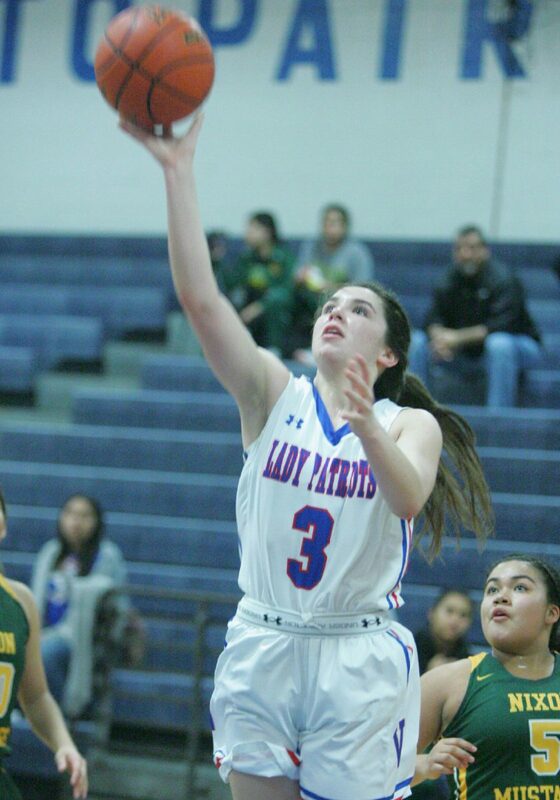 During the spring, Howell’s 16.5 points, 9.6 rebounds, 2.0 steals and 1.3 assists propelled the Patriots girls basketball team to a second-place finish in the district and an area playoff berth. Howell made The Monitor’s All-Area First Team lists for volleyball and basketball. >> Valery Tobias, Edinburg IDEA Quest: Tobias won her third straight 800-meter gold medal at the state meet in Austin, surging late for the victory. 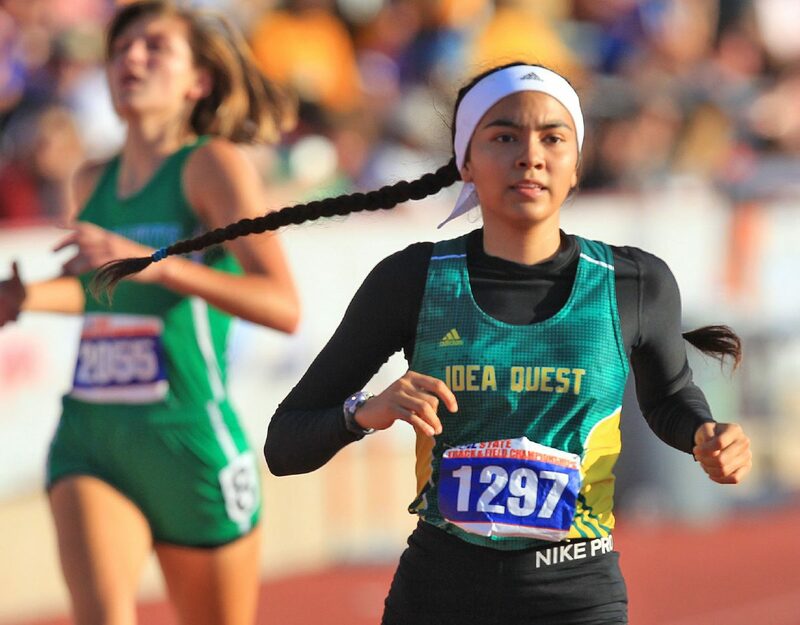 She is the first RGV runner to win three consecutive state titles. At the Meet of Champions in Weslaco this season, she won gold in the 400 and narrowly pulled out an improbable come-from-behind finish in the 800 after falling on the first lap around the track. She’ll continue her track and education career at the University of Texas at Austin this fall. >> Cassie Valdez, Brownsville Veterans Memorial: The senior led her softball squad to an unbeaten District 32-5A title and to the regional quarterfinals while earning district offensive player of the year honors. At the plate, Valdez finished with a .611 average, 11 home runs and 60 RBIs. As a pitcher, she had a 12-4 record with a 0.93 ERA, including a 0.16 ERA and an 8-0 record in district play. For the year, she allowed just 11 runs on 35 hits while striking out 162 batters. In volleyball, she earned the District 32-5A MVP while leading the Lady Chargers to an unbeaten district crown for the second straight season. She was the All-Metro Defensive Player of the Year after posting 147 kills, 211 digs, 313 assists and 37 aces.